Summer brings about a number of challenges as far as grooming is concerned. We agree that it’s steamy, sweltering and scorching (not to mention Humid!) but that’s no reason for you to be a mess and stinky. So if you are stuck in office or basking under the sun at a beach, here are some grooming tips you should consider to look and feel your best. Dress to Cool Off: Choosing the right fabric is really important. Summer appropriate fabrics like Linen, Cotton & Seersucker are recommended as they allow air to pass and hence lets your skin breathe. Body hugging clothes are a strict ‘No’ this season. Keep a cool Head: If your head feels hot and sweaty, so will you. This is because 80 per cent of the body’s heat is passed on through the head. Keep your head, scalp and hair cool and fresh by washing them regularly. Ensure that you use a good shampoo and conditioner to remove all that dirt, grime and sweat that accumulates on your scalp. If possible, trim your hair to a short length so that your scalp gets enough air. Skin needs Extra Attention: Staying indoors during summer is the ideal thing to do but if you are required to step up to the sun god in battle outdoors, do not forget your ultimate shield: Sunscreen. 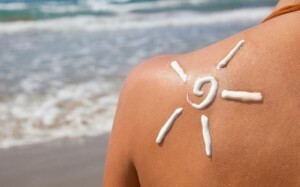 Expert opinion suggests that sunburn doubles your chances of skin cancer. Sunburn also leaves your skin looking tired, dull and tanned reducing the skin’s ability to release excess heat. Considering all these factors, sunscreen is truly ideal for your grooming regimen this summer. Check on foot odor: Nothing is more unappealing than stinky feet. For many, this is a persistent problem. A pair of soft cotton socks can help you solve this stinky problem. Do you have any more grooming tips for summer? Feel free to share with us.